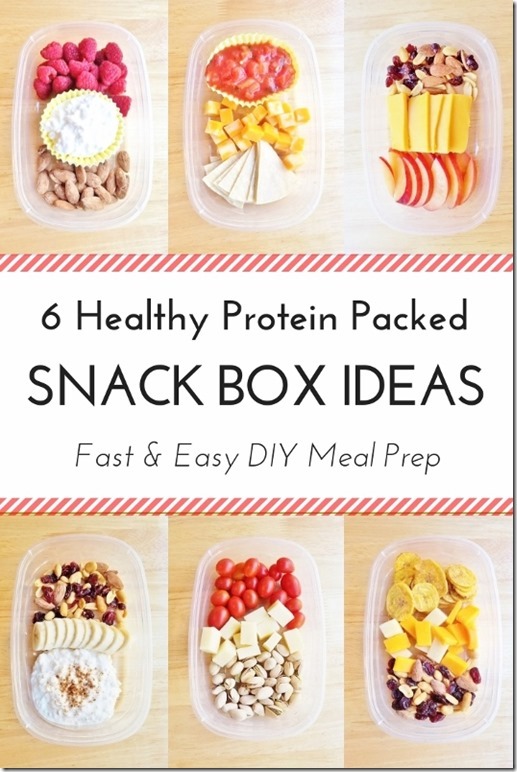 A healthy and easy roundup of 6 different ways to diy your own protein snack boxes! 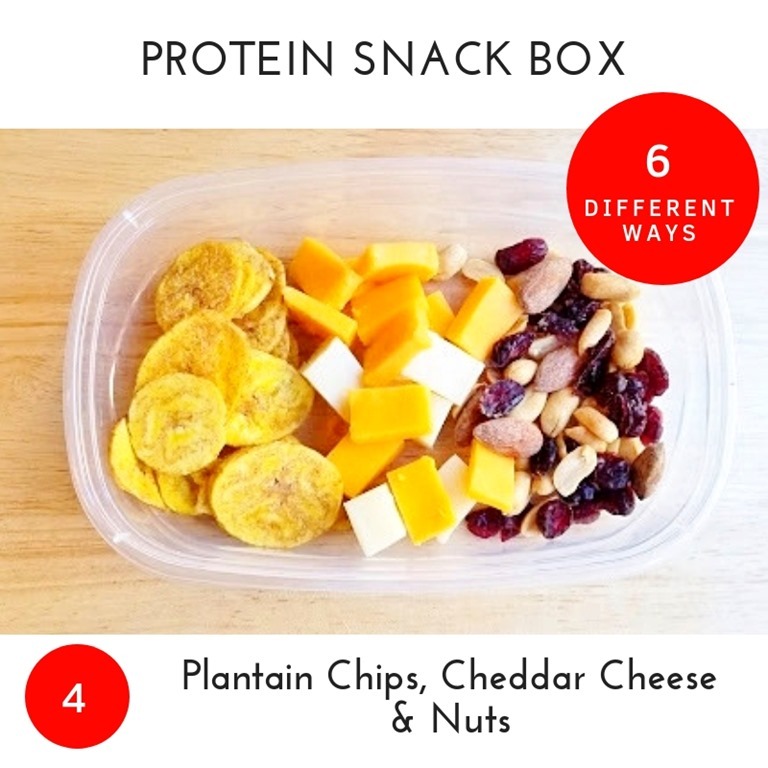 Make this part of your meal prep routine and avoid mindless snacking or an afternoon energy slump. 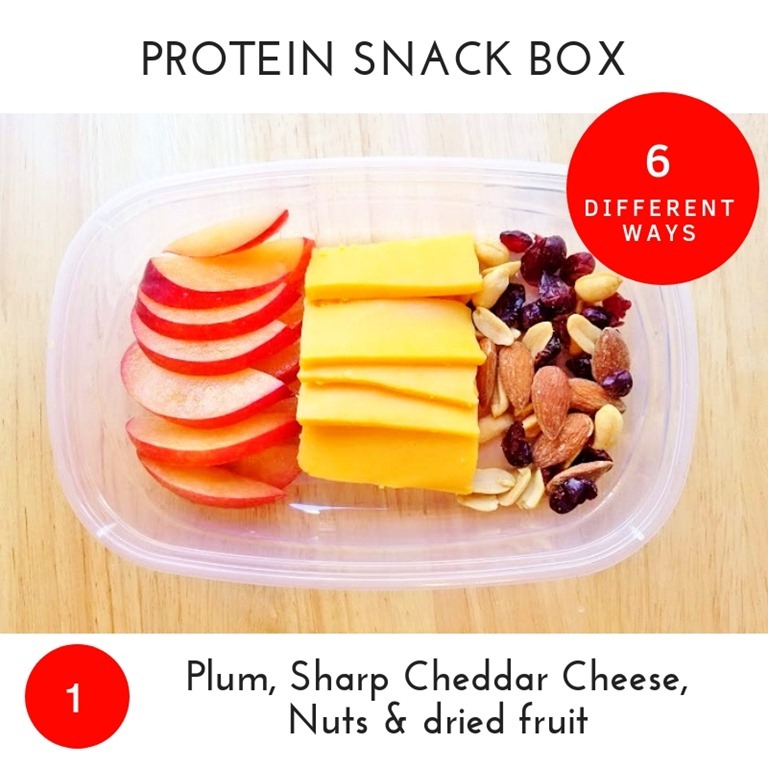 As much as I love food and amazingly prepared meals… I think snacking is my favorite thing. It’s also something I struggle with daily. I like the freedom to be able to graze and grab a snack whenever I need it! But since snacks are often grabbed by the handful – I don’t realize how much I’m eating. And I also tend to gravitate towards carb-loaded sweet treats but I can eat those forever and not feel full. Anyone guilty of snacking on 7 handfuls of cereal while looking for another snack? But portion controlled, planned snacks help combat mindless snacking and can be a great way to fill up on healthy foods. It’s important to balance protein and fat into your diet to feel satisfied. 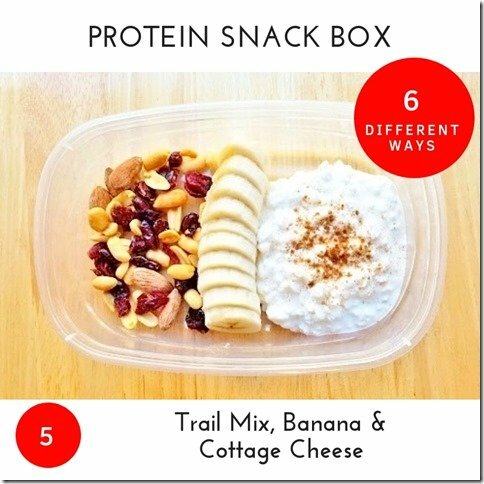 So I’ve put together 6 different protein packed snack boxes. The mash-up of protein, carbs and fat below offer salty and sweet options to satisfy your cravings and macro needs. 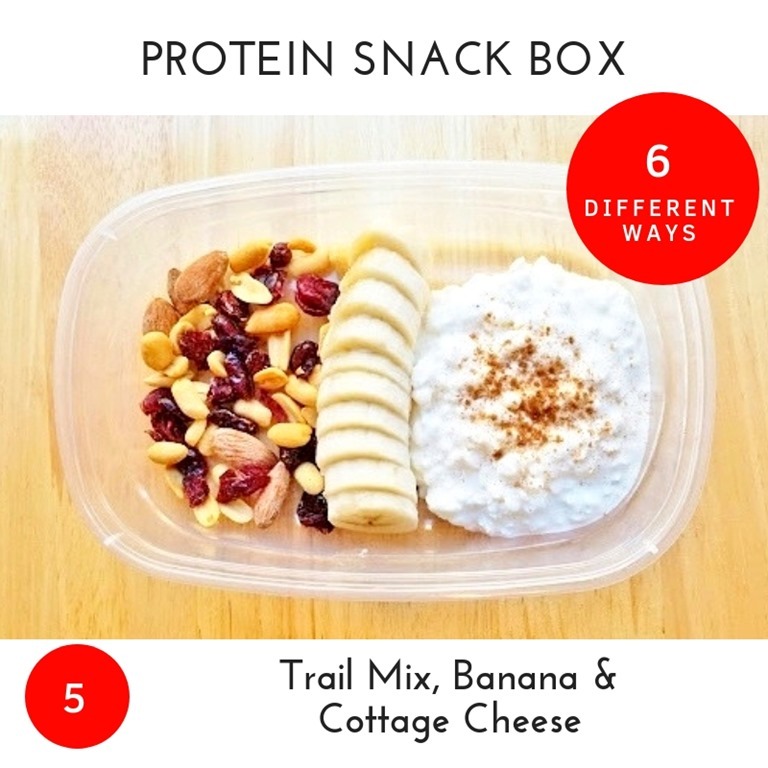 Cheese and cottage cheese are great options for protein packed snacks. I love a convenient option that doesn’t require a ton of preparation or cooking. 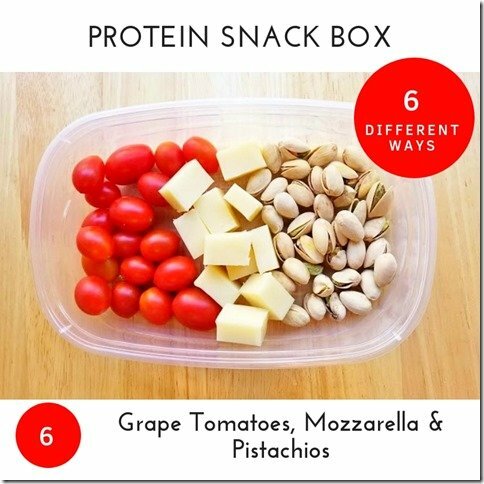 You can swap out any of the cheeses below for string cheese or pre-cut mini-blocks of cheese to make it even easier if needed. 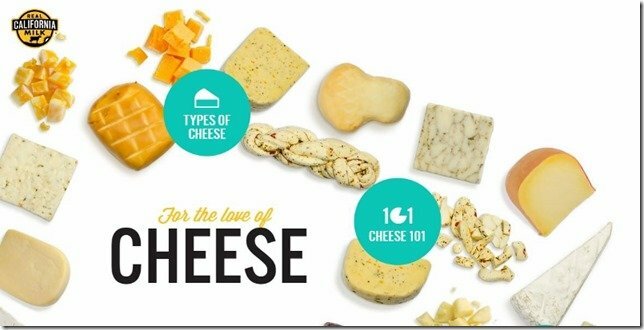 And if you’re not sure you like a particular type of cheese – check out the Real California Milk – Cheese 101 page for a breakdown on each type and a description of how it tastes. Fit Tip: Most of these are a combo of real foods (whole foods and unprocessed foods)! If you’re trying to eat more unprocessed or ‘real foods’ – check out the ingredient label and try to keep it to things where you recognize the ingredients and there are about 5 or less ingredients. 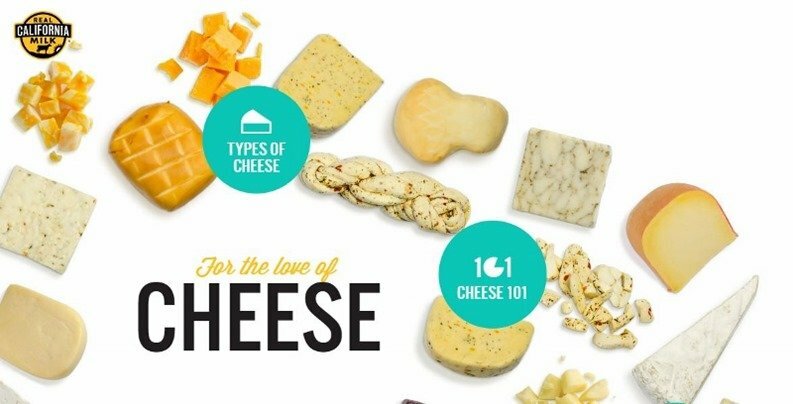 Fit Tip: I love super sharp cheddar cheese – it’s so flavorful I’ve noticed that I can satisfy a cheese craving with 1 serving versus buying a lower calorie replacement and eating a whole block of it. This swap depends on how I’m going to eat it – the foods I’m eating it with or if it’s in a recipe. But when I get a craving for cheddar cheese I go for sharp. 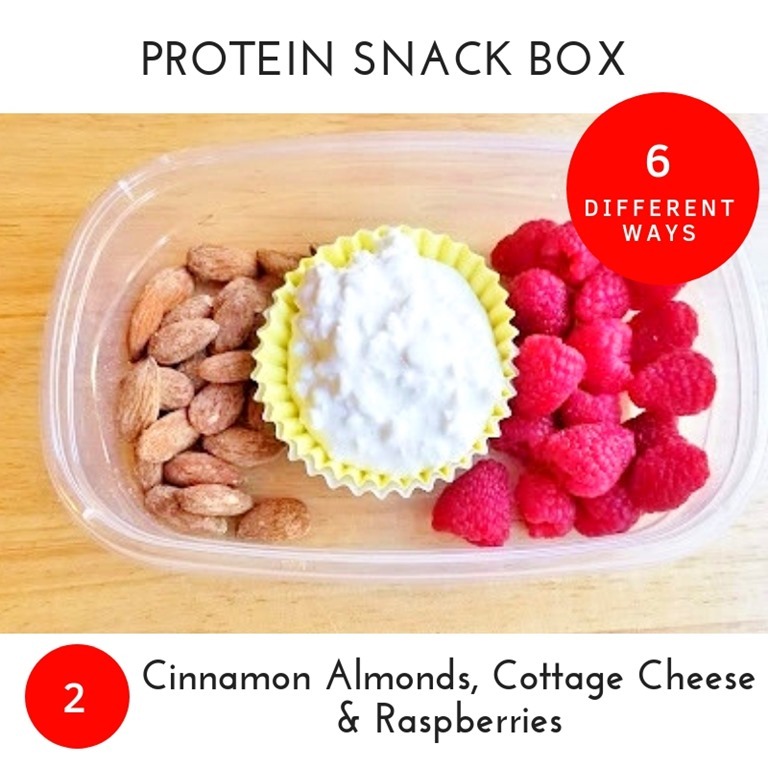 Fit Tip: You can diy your own cinnamon almonds if you want to control the ingredients. You can also use plain or salted almonds. I like sweetened nuts with cottage cheese because I prefer cottage cheese as part of a sweet combo. Swap out raspberries for another fruit that’s in season depending on when you’re making this! You can also swap out the cheese for a Hispanic style option. It’s a great compliment for this flavor combination. My favorite is Cotija – it’s salty and crumbly and I love it melted on corn tortillas! 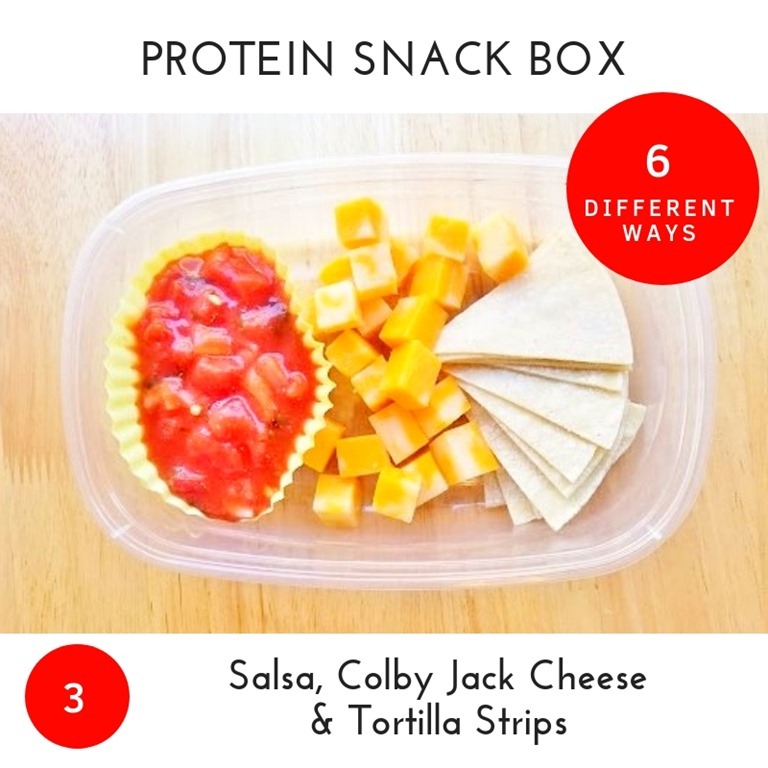 Fit Tip: Use baked tortilla chips or corn tortillas cut into strips to keep this protein snack box on the lighter side. Fit Tip: Swap out the plantain chips for whole grain crackers if you prefer. 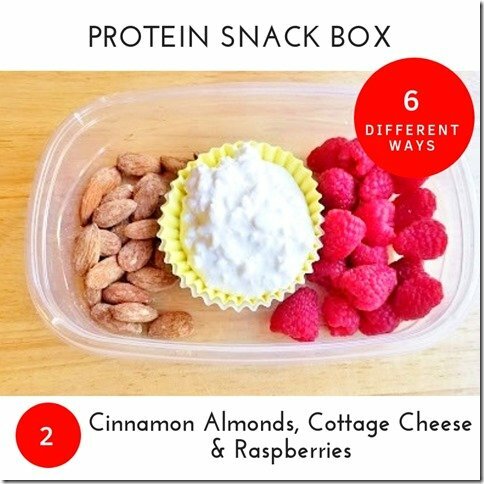 Fit Tip: Sprinkle Cinnamon on the cottage cheese for extra flavor! It’s delicious in combination with the banana and I like to stir all of this mix together. Fit Tip: If grape tomatoes aren’t in season – swap it out for carrots or sugar snack peas. If they are in season – get them! Ripe tomatoes in the peak of their season are delicious. Mozzarella is a milder cheese and the grape tomatoes are unseasoned so the salty pistachios really compliment this combination. Let me know if you swap out one of the ingredients and create a super tasty combo I should try!! Look for the Real California Milk seal when you get the ingredients for these snack boxes! The seal means the product is made with 100% Real California Milk. California is home to more than 1,300 dairy farms – 99% of which are family owned. Question: What is your favorite / go-to snack this week? 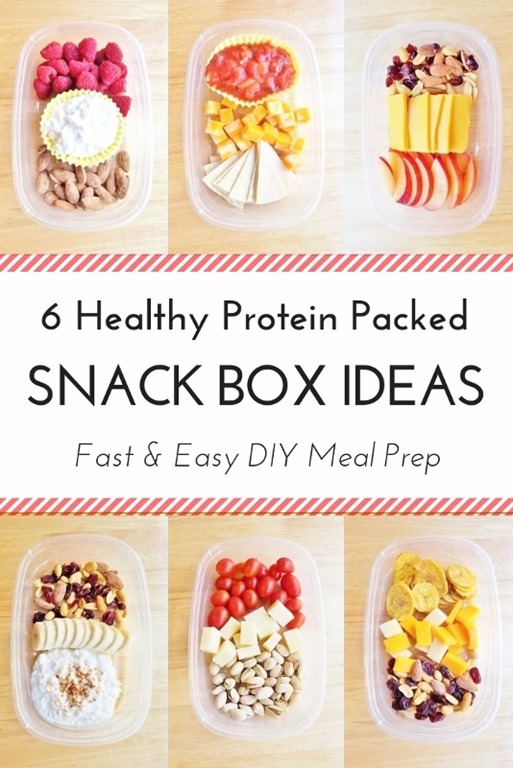 The post 6 Healthy Protein Packed Snack Box Ideas appeared first on Run Eat Repeat.